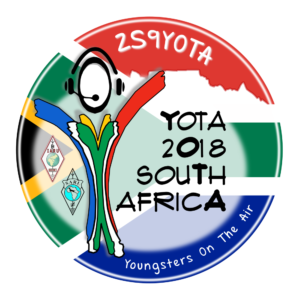 With the December YOTA Month QSL cards almost done it is time to start looking forward to this years YOTA camp in South Africa. As This years camp is being held in the Southern Hemisphere it will actually be YOTA Winter camp despite being in the middle of July. Work for this event started in November 2017 by a small working team of young people in South Africa in association with SARL and IARU Region 1. As QSL Manager for the IARU R1 YOTA program I am happy to see the progress of this event growing as time goes on. I wish the organizing team and participants all the best for the event, and I hope it is as successful if a bigger success than past YOTA camps. This Bureau dispatch includes cards from recent DXpeditions, YOTA Month and GB17YOTA. 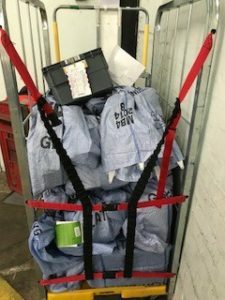 All of which have been sent as priority mail so you get your cards as quick as possible. We are interested in knowing when your cards arrive, so feel free to send me an email when you get yours. 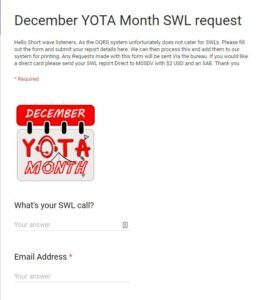 W ith December YOTA month now well behind us, focus turns to the QSL requirements for so many stations and such a big activation. 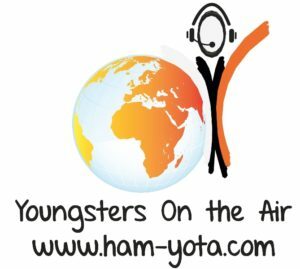 Working as a sole QSL Manager within United Radio means that I am responsible for handling all YOTA QSL requests. This includes Bureau, Direct and SWL reports. I hope to send these QSL cards to all world IARU Bureaux on the second first weekend of February, which leaves little time between requests slowing down to getting the cards sent out. And with 3-5000 QSL cards for up to 40 call signs to process is a difficult task, but a task that instills faith that Young Operators are still progressing through this hobby. With that said, please Consider donating to help fund the bureau. No bureau operates free of charge and there are many costs involved in getting your QSL card from A to B. So any donations are gratefully received (Link at the bottom of this post). 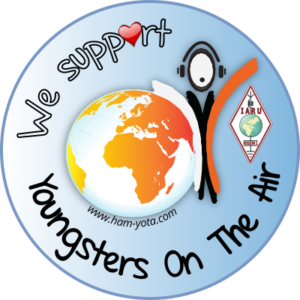 Moving on into the future now, With the recent announcement of YOTA summer camp 2018 being held in South Africa (ZS) I am really excited to begin work with a new group of youngsters to give the best, one of a kind QSL design for their activity week. I will work closely with the team to ensure that logs are uploaded online at regular intervals throughout the week and that all QSO’s are safely stored for the world to collect their confirmations. As most of you know Youngsters on the air holds a big event in December every year. I am the QSL manager for this event and I wanted to come up with a method to include SWL’s within an OQRS system. So I got to thinking, What if I made an online form. This form was designed with the intention to take all the required details to confirm an SWL report. Such as; SWL call, Email address, Station heard, QSO details and 3 QSO’s heard with another station. So far this has been a success with well over 150 SWL requests. Well up on the 30 Requests from last year. United Radio, Here for everyone!